As the most recognized name in the industry, travelers the world over have been saying “Take me to the Hilton” for almost a century. And because of our innovative approach to products, amenities and service, Hilton continues to be synonymous with hotel across the globe. 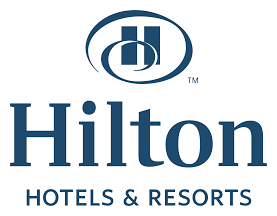 Hilton Hotels & Resorts remains the stylish, forward thinking global leader of hospitality – and we help make traveling easier with our smart design, innovative restaurant concepts, authentic hospitality and commitment to the global community. With more than 540 locations in 78 countries, Hilton Hotels & Resorts provide an authentic and contemporary experience for guests worldwide. Explore our hotels and the smart design, thoughtful amenities and innovative dining options that make us a global leader in hospitality.